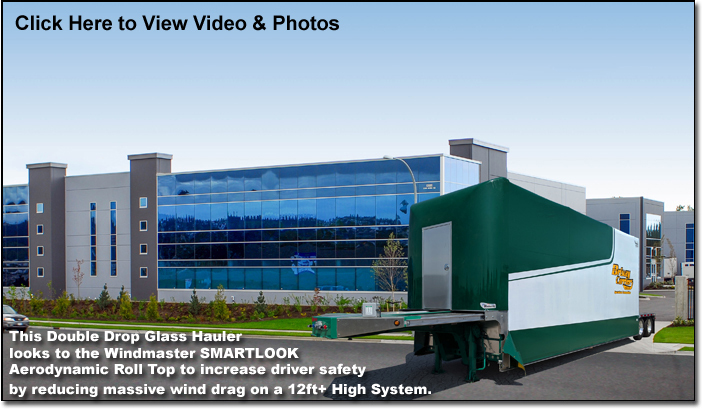 Windmaster SMARTLOOK sliding tarp system displayed at the 2016 Mid America MATS truck show in Louisville, Kentucky. 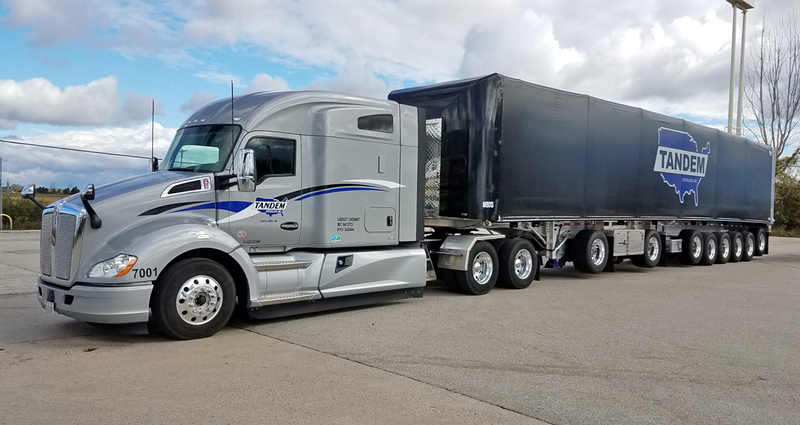 Trucking Company Owners, Fleet Managers & Owner Operators have made it their mandate to explore fuel saving devices that reduce wind drag while providing less emissions into the atmosphere and promoting driver safety. 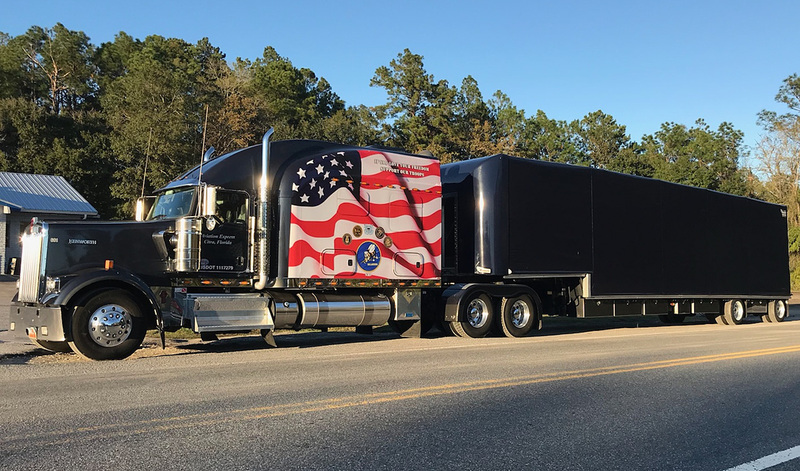 The SMARTLOOK sliding tarp system, equipped with the Windmaster is the 1st ever fully integrated aerodynamic front to a sliding tarp system since its debut 20 years ago. 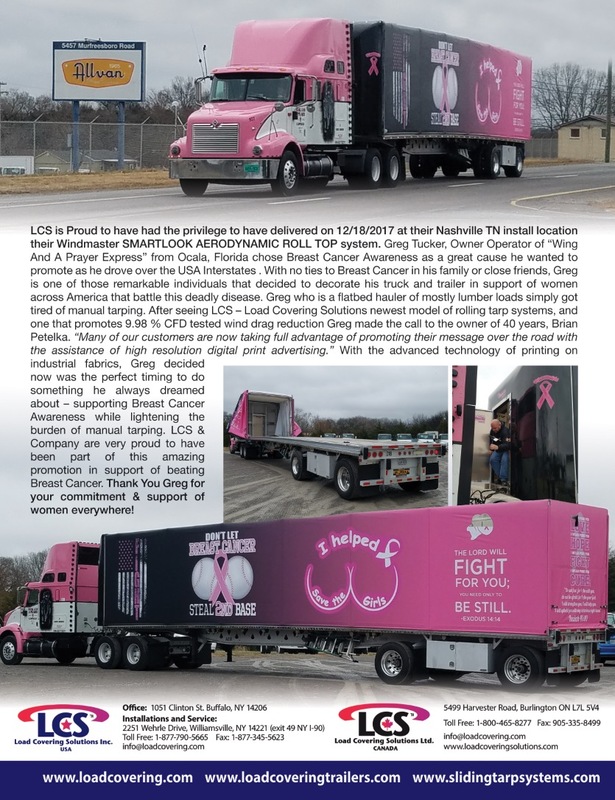 Sixteen months in the development stage, LCS guaranteed it would provide the North America Trucking industry with an 8ft high sliding system that would have less wind drag while providing superior fuel efficiency then a 7ft high system without any aerodynamics. 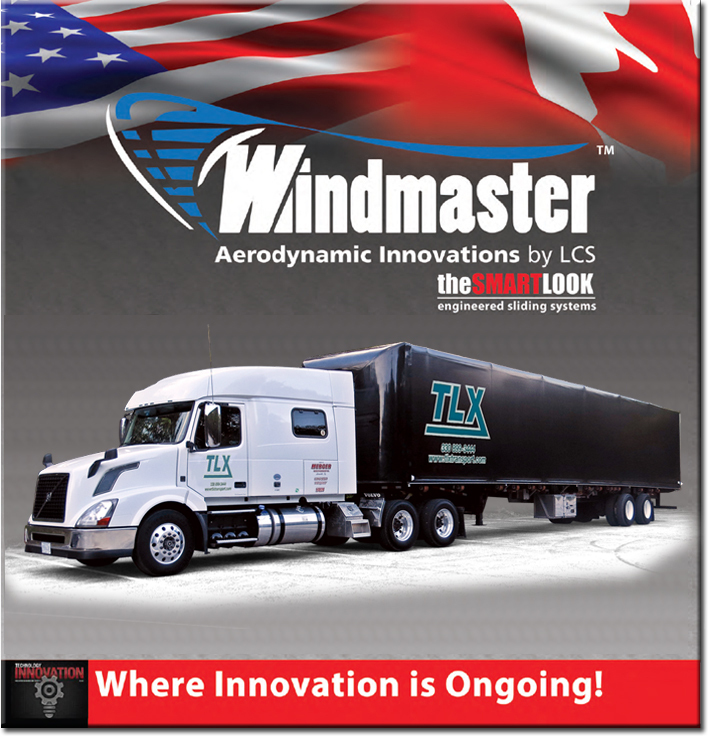 With countless design considerations followed by several CFD testing results, LCS is proud to say the Windmaster SMARTLOOK is the most fuel efficient sliding tarp system on the market today... 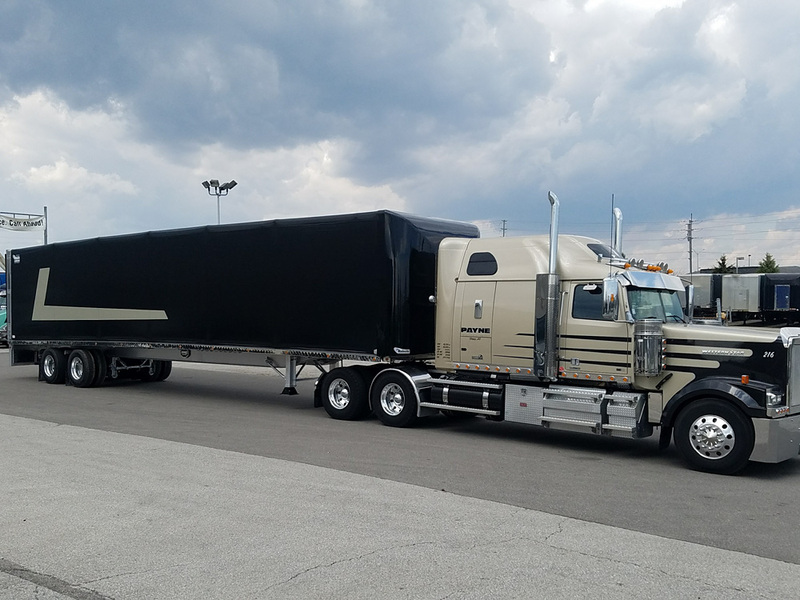 Maximize your interior height of your next sliding tarp system by ordering the Windmaster SMARTLOOK sliding tarp system from Load Covering Solutions! CFD Flow Simulation on Trailer Front Bulkhead Air Fairing Aerodynamic Drag Reduction 7%-9% (Fuel Economy between 3.5% - 4.5%). CFD - simulation and testing of semi-trailer truck for Drag Coefficient & Lift Coefficient with Aerodynamic add-ons (external drag reduction devices). Computational Fluid Dynamics (CFD) simulation analysis of the steady flow field around the semi-trailer truck model with aerodynamic add-ons indicates the coefficient of drag is reducing between 7% to 9% depending on the height of the bulkhead structure and coefficient of lift is reducing about 30%. Hence, the Air Fairing is the effective tool to reduce the drag force on the vehicle and also improves trailer stability. 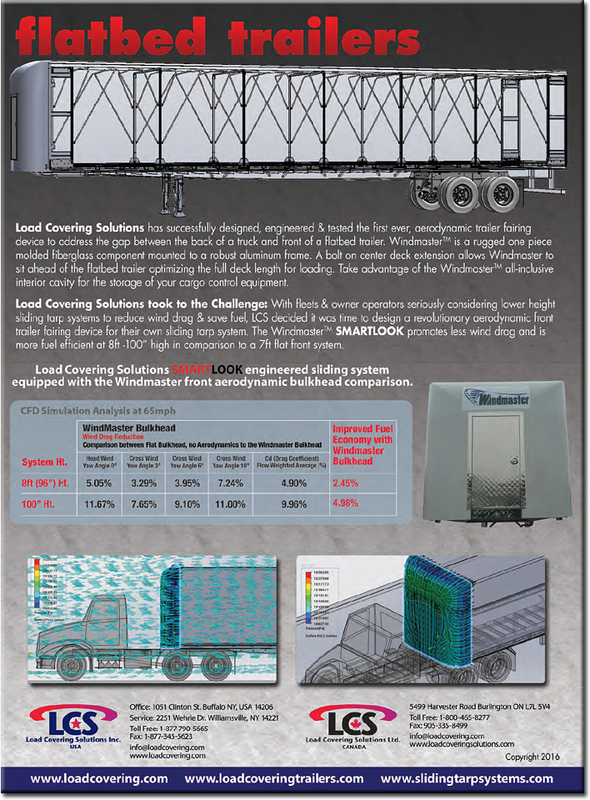 CFD Testing Results by an independent company compared a flat wall bulkhead on a sliding tarp system trailer measuring 96'-100' high to the Windmaster SMARTLOOK of the same height. Click on thumbnails below to view large .pdf diagrams of CFD test results.